A Transfer Admission Guarantee (TAG), is a formal agreement between a student in attendance at Gavilan College and a receiving baccalaureate granting institution to which the student intends to transfer. The agreement guarantees admission to a transfer university a year in advance for a fall term admission. A TAG may also guarantee admission into a major. Because the requirements of universities vary, it is advisable that students consult a counselor for more detailed information. Counselors will help you determine your eligibility for a TAG and assist with the required documents. Seven UC campuses participate in the TAG program and require an online TAG application. Planning is critical to ensure your TAG is complete, processed and approved. Students are limited to one UC TAG application. Disclaimer: The final responsibility for successful transfer rests with the student. The information posted on this webpage is designed to assist you. The information is subject to change without notice which may subsequently impact your transfer admissions. You are encouraged to meet with your Gavilan counselor early in the planning process and often during the year prior to transfer. http://uctransfer.universityofcalifornia.edu/ - admissions information, planning guides, and resources. Lower Division Transfer Program - This web site helps students who are planning to transfer to a California State University by providing academic road maps for the completion of lower-division major preparation. 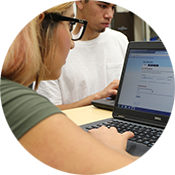 ASSIST - ASSIST is an online student-transfer information system that shows how course credits earned at one public California college or university can be applied when transferred to another. 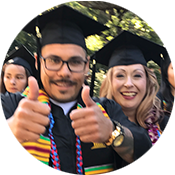 ASSIST is the official repository of articulation for California’s public colleges and universities and provides the most accurate and up-to-date information about student transfer in California. Articulation vs. Transferable - terms used often in college. Know the difference! Use the computerized career information program, EUREKA, which is designed to assist you in selecting a major or career.